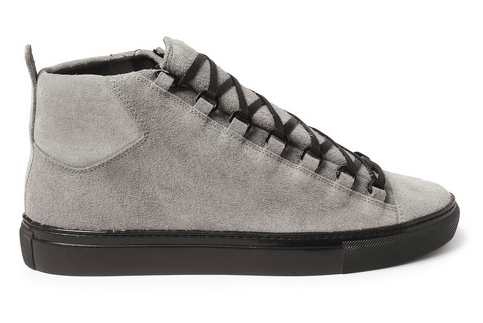 A new classic gets a color update for Fall. 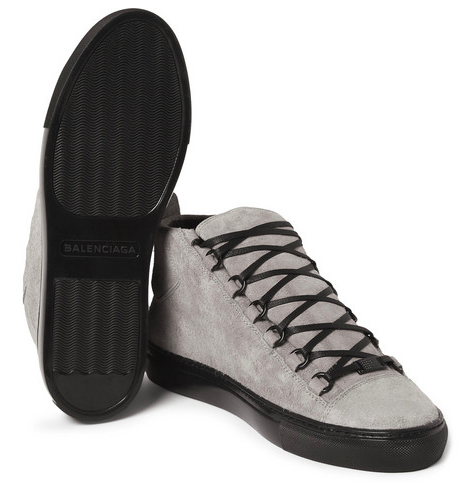 Balenciaga's Arena High Top Sneaker has become a new classic as it continues to remain a style that the brand can count on for its simplicity in silhouette and dress up dress down appeal. 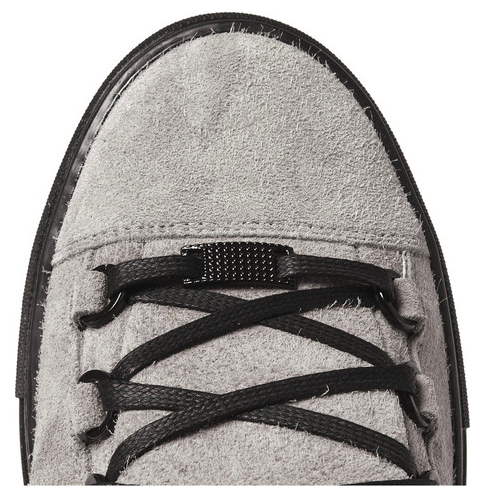 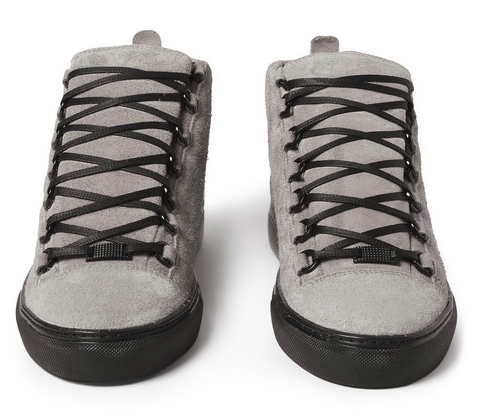 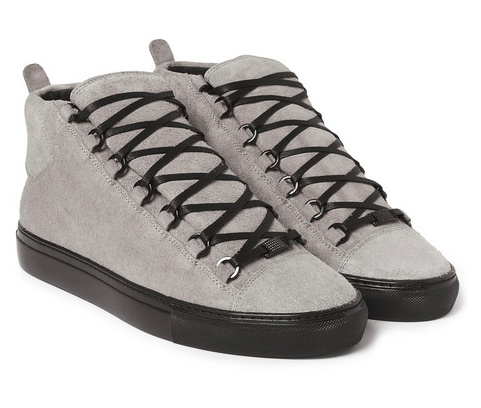 This grey suede color way for Fall/Winter can pretty much be worn with everything from pattern cropped wool trousers to coolly distressed denim. 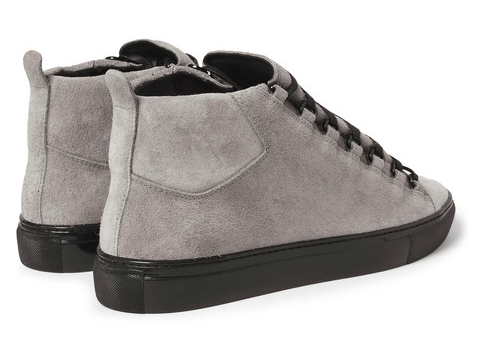 Available now at MrPorter.com.